In this workshop we will create a brand new report from scratch. Generally the t-call directive loads sub-templates inside a view architecture. But these sub-templates of course can only be found when they are identifiable by the Odoo system. That’s why we need to create an external identifier for each of them. Please note: Odoo recognizes account.another_report as the QWeb view from STEP #1 because we created already an external identifier in STEP #2. So it is automatically associated to this report. 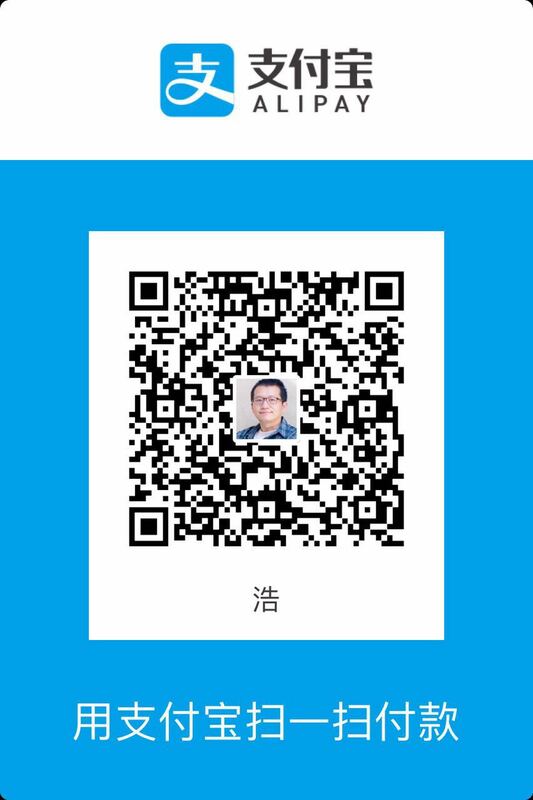 请注意： 在步骤#1中 Odoo 能识别 account.another_report 为QWeb 视图 是 因为 我们 在 步骤#2 中 创建了 外部id. 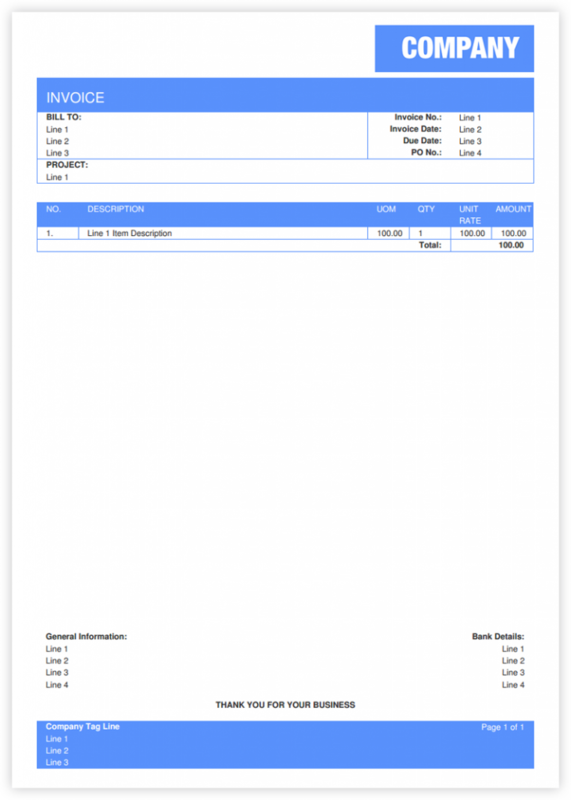 From now on you should be able to choose your new report design in the printing menu for any invoice in Odoo. This makes it very easy to test our layout during the next steps! 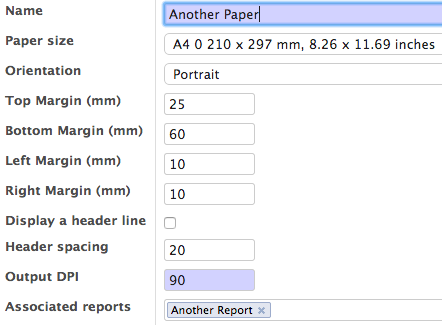 Test it now and Another Report will currently print a blank page. So it’s time to start with the view architectures! 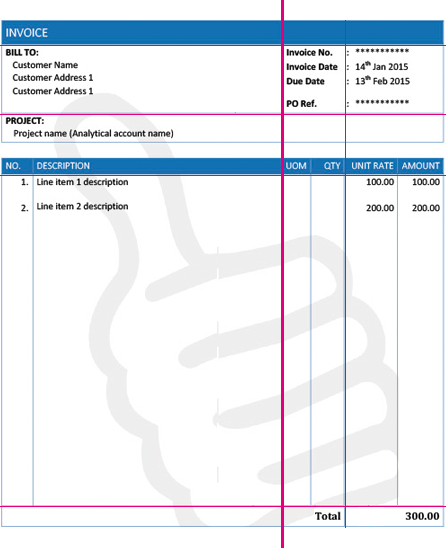 Please note: for storing the image file we used a path known to Odoo. You can choose any path of a module folder – even when the app is not installed. The header consists of one row only. The image width is a third of the page’s width and positioned on the right edge (col-xs-4 and col-xs-offset-8 explained here). 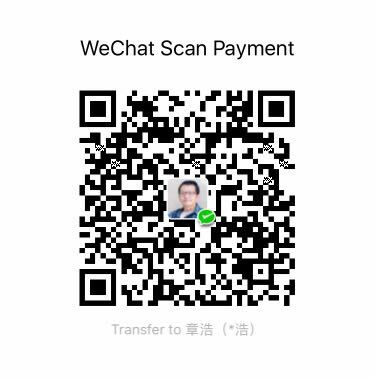 头部只包含一行。 图形的 宽度 是1/3 页面 位于 我们报表头部的 右边 -- .. 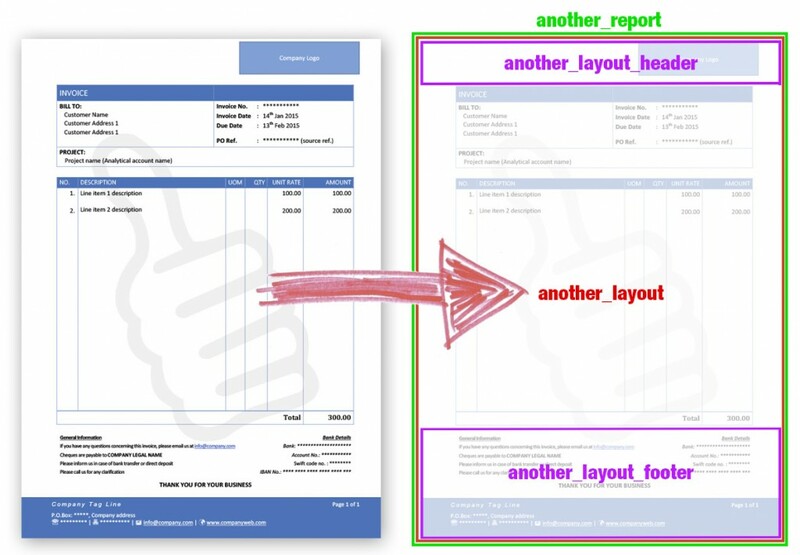 The footer has a right column with a width of a third of the page’s width – same as the header with its logo on the right. We subdivide the wished information into three rows. As you can see – we need at least six rows. Please note: depending of your wkhtmltopdf version you now may have to adjust a little bit the used CSS styles.